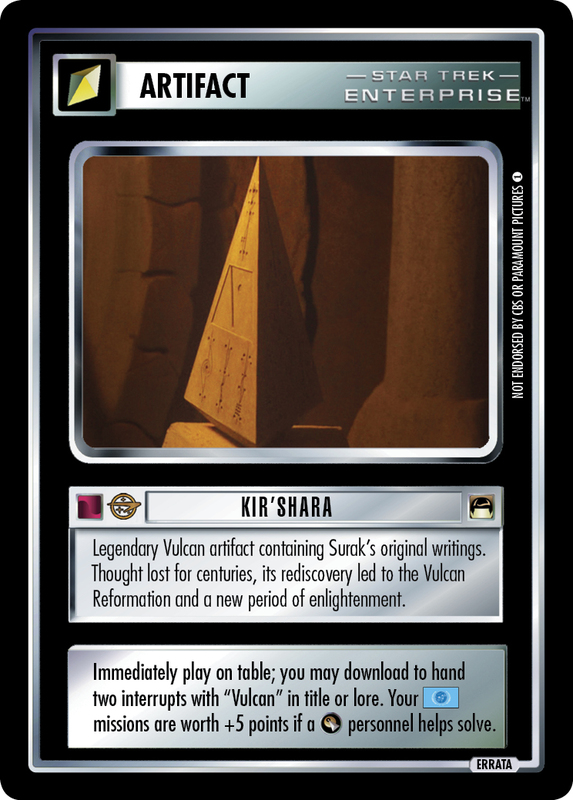 Legendary Vulcan artifact containing Surak's original writings. Thought lost for centuries, its rediscovery led to the Vulcan Reformation and a new period of enlightenment. Immediately play on table; you may download to hand two interrupts with "Vulcan" in title or lore. Your missions are worth +5 points if a personnel helps solve.